Hey everyone! 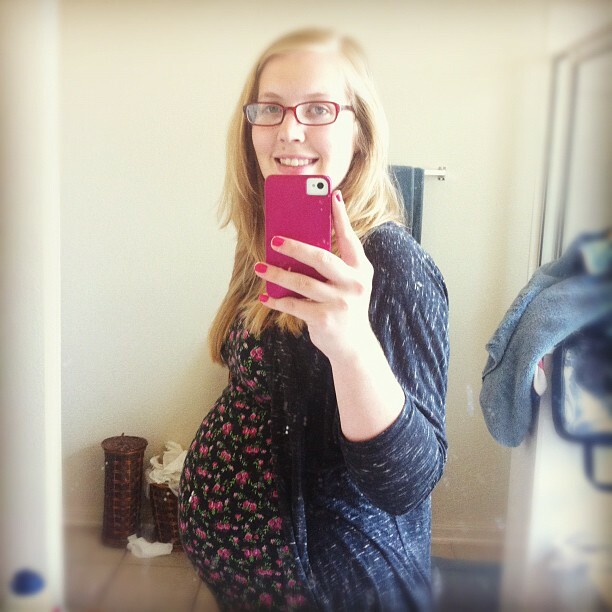 I am officially 23 weeks along today! It's so exciting that I've already made it this far, but it also feels like time is going minute by minute. Here is how my belly has grown this last week. I had an ultrasound today, which was absolutely amazing to see my little girl moving around and doing so well, however I am still dealing with Placenta Previa. As of right now, my placenta is completely covering my cervix and birth canal. This puts me in the status of a high risk pregnancy and could require a C-Section if it does not move away from the cervix. Please be praying that it will move on it's own over the next few weeks. I have another Ultrasound in 6-8 weeks to see if it has moved at all. Also, please be praying that she continues to grow as she is supposed to and that there are no further complications! Cloth Diapering and some Giveaways I have found! Cloth diapers vs. Disposable diapers?